Rockbridge is a beautiful county located in the area of Virginia in the United States of America. 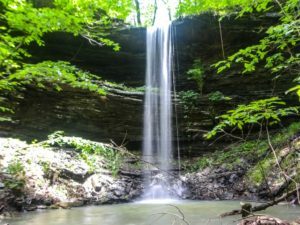 The county’s most beautiful natural area is undoubtedly the Natural Bridge, which is located in the southern part of the county. The event of the Annual Race, allows you to enjoy the natural beauty of the county. The county is made up of two large cities, Lexington and Buena Vista. Both of the cities add to the natural beauty of the county. Apart from this, the county has many naturally preserved areas and forests which allow you to experience the beauty of the county first hand. It is the top place on our list. 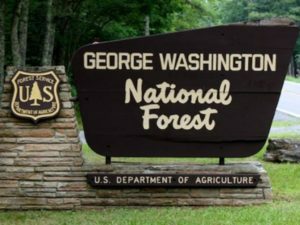 The forests are protected and overseen by the Department of Conservation and Recreation in Virginia. The operational hours of the woods are 8 am to 4 pm, every day. You can choose to go hiking on the Appalachian Trail here or find a cabin and stay here. The brilliance of the area is exhibited in the well maintained and well preserved natural forests. If you’re looking for a backpacking adventure, then this is the place for you! This list would be incomplete without the mentioning of the Natural Bridge. The county derives its name from this limestone bridge. Even John Marshal commented on the beauty of the bridge back in his day. There are many hotels and trails around this bridge. The Natural Bridge has now become a Virginia State Park and is maintained by the Virginia Commonwealth. There are many hotels around this area, in case you were looking for a place to stay. The operational hours begin at nine in morning and end at four in the afternoon. This site makes for a good adventure with the little ones, and family. The presence of naturally carved caves is a huge plus point to the beauty of the area. 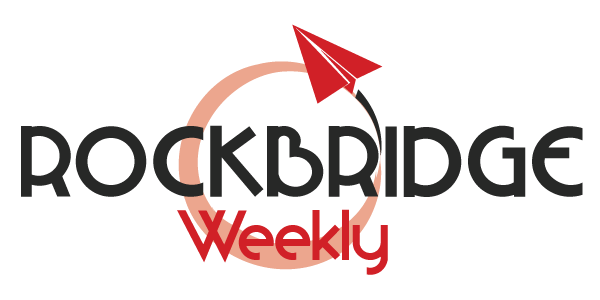 Visiting Rockbridge? Well, make sure you pay a visit to the extremely beautiful Goshen Pass. The three-mile-long pass was created by the Maury River. This area is full of thick trees and natural beauty. The place hits well with campers, hikers and people who love adventure and nature. 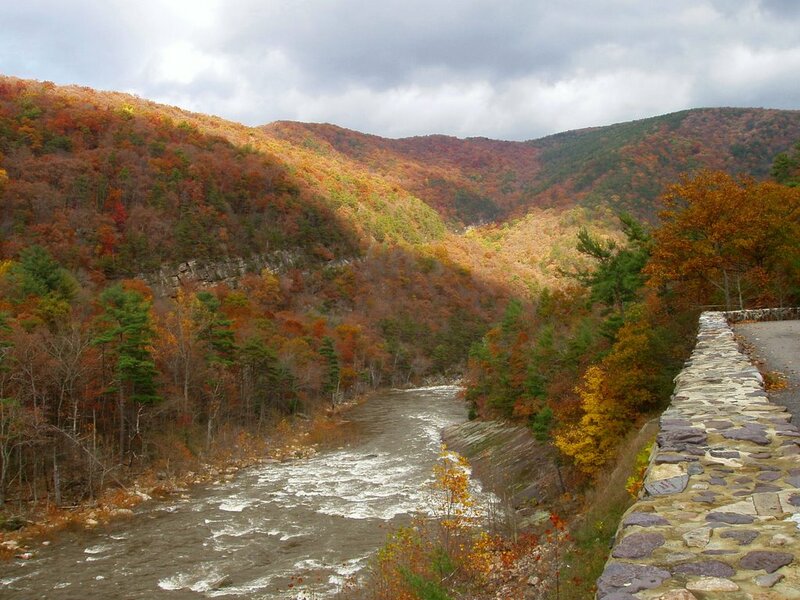 Goshen Pass is famous for swimming, hiking and camping spot. The trail up the northern path of the river provides a good trial for walking on if you’re not interested in hiking. Tubing and canoeing are also famous here. Canoeing even has various levels of more experienced people. Planning on doing something adventurous or planning to spend a lazy day with your family, this place allows you to enjoy whichever. The natural beauty and the tall trees provide the best kind of comfort there is to offer. Glasgow is a small town in the Rockbridge County. This place may be small, but it has an abundance of beauty hidden at every corner. If you visit the Rockbridge County, you should, without a doubt, visit Glasgow. 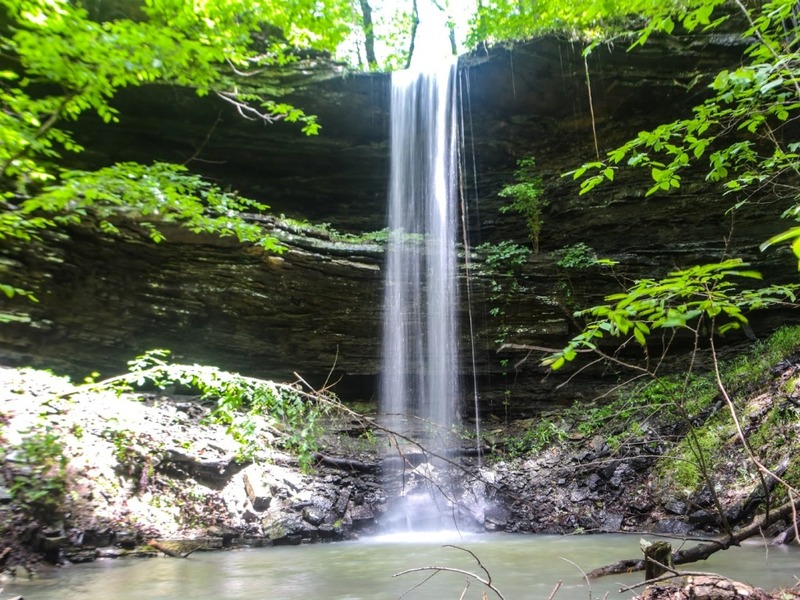 Visit the Locher Tract or the Balcony Falls Trail for hiking. The place is predominantly famous for its hiking trails. However, you can find horse-riding and biking opportunities here as well. The area is beautiful and well-kept. Buffalo Bend Lodge, is yet another place which should be on your list to visit in Glasgow. This resort offers you a cottage or a retreat, at the bank of the mountain stream. 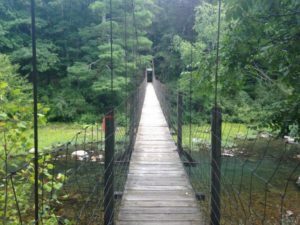 The resort is situated only a few miles away from Lexington and the Natural Bridge in the county. The living areas are big and well taken care of. You will find comfortable beddings and impressive view of nature all around you. 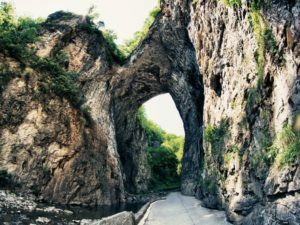 The county’s most beautiful natural area is undoubtedly the Natural Bridge, which is located in the southern part of the county. Rockbridge, without a doubt, is one of those places which is surrounded by beauty and nature. The presence of hiking trails, camping spots and events make this site one of the best places to spend time. Most tourists come here looking for adventure and to taste the beauty of nature.